When one thinks of fine wine, I’ daresay Armenia does not come quickly to mind. But here we have a wine in the Old World tradition. Earthy, complex, and elegant with a touch of country air – as if Cinderella traipsed through a pasture in search of her glass slipper. Kataro is located on a picturesque hillside in a lush region of Hadrut in the Republic of Artsakh. Artsakh (Karabakh) is an integral part of historic Armenia, dating back to a few centuries AD. 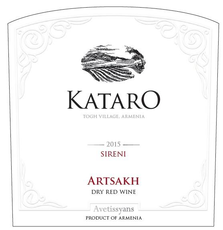 Named after an ancient, mountain-top monastery located, Kataro produces wines Armenia’s best grape variety - an ancient grape called Khnodgny (thankfully, this grape is also known as Sireni, as shown on this label). Grown at an elevation of 2,000 feet – well above the fog line. This is one of Armenia’s best wines on the world stage, earning its prestige by winning awards in global competitions. Look for notes of red fruits (pomegranate), earth and sweet spices. 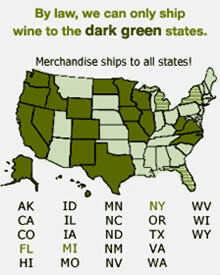 For near-term enjoyment, this wine is best when allowed to breath for an hour or two prior to sipping. Reds that offer this taste profile pair well with game, braised or roasted meats, stews and strong cheeses.